In India insurance is taken very lightly and motor insurance is taken even more lightly. A report by General Insurance Council of India states that about 2/3rdof the vehicles in India don’t even have a third party motor insurance. The main reason for this being lack of understanding, the process is tedious and even high fee being involved in form of insurance premium. This results in an additional financial burden. As per the Motor Vehicle Act, it is compulsory for every motor owner to have an insurance policy to cover death, injury and other damages to property. With COCO by DHFL General Insurance this can turn out to be easy and more rewarding in form of savings as one can choose from what is required, so you pay only for what you opt for. This is something that makes COCO by DHFL General Insurance very different from traditional insurance companies. 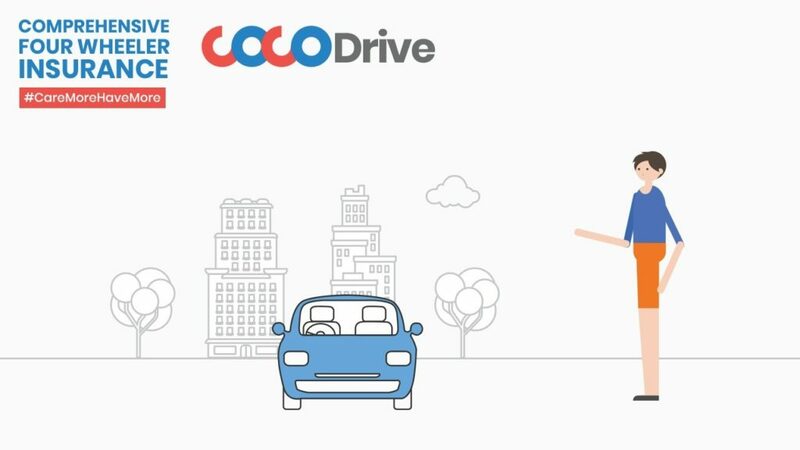 COCODrive (the newly launched comprehensive Car insurance product from COCO)provides an elaborate menu of 19 add-ons that give enhanced protection over the basic policy. The best part is, you don’t have to buy a policy that’s pre-bundled and rigid. Instead, you can just choose the add-ons that you need and pay for just that. This means that each customer can have their unique policy that is customized as per their needs. The brand is completely tech-driven with the whole process from start to the end can be performed online. COCO’s platform uses technologies like Artificial Intelligence and Machine Learning to understand customer behavior and then recommend add-ons that will be best suited for the particular customer. This makes the buying process so simplified and intuitive that the pain-point of insurance purchase being complicated is well addressed. Customization – From what we have written earlier you would have got an idea of what this feature would be. So you are offered from 19 add-ons to choose from for your insurance policy. Most of the players currently offer a maximum of 6 to 7 add-ons. Other insurance companies would offer a bundle of features which you won’t be able to customize. So you can choose from these add-ons on the basis of your cars age, place where you stay, type of car, etc. You can buy these add-ons with as low as 50 paise a day. You can know more about these add-ons on their website when you buy a plan. The website would also recommend you add-ons best suited for you. Opt for things you need and pay the premium accordingly. Highest personal accident cover – The current mandate for a personal cover of 15 lakh, but with COCODrive you can opt for an enhanced cover that can go up to 35 lakh. Artificial intelligence – COCO’s website is equipped with artificial intelligence and machine learning which tries to adopt the customer’s behaviors based on their queries and try to provide with an insurance plan which is more appealing and attractive. End to end app/ website based – From finding out the quote to buying the policy all can be done online. Even filing for a claim can be done online where you can remove video/ post pictures of your damaged car part for which you would be filing a claim. Reasonable price – The product is completely online having no middlemen and agents along with customization bring the price down compared to other policies. This sounds like a very interesting insurance product. From what I see, this could be the future of insurance in India. Will definitely consider during my next renewal. Indeed it’s interesting and cost-effective. iits really really pleasant article on building up new website.